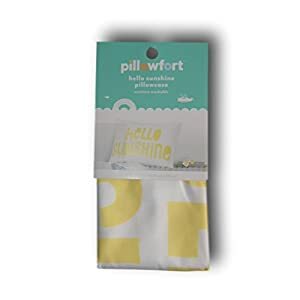 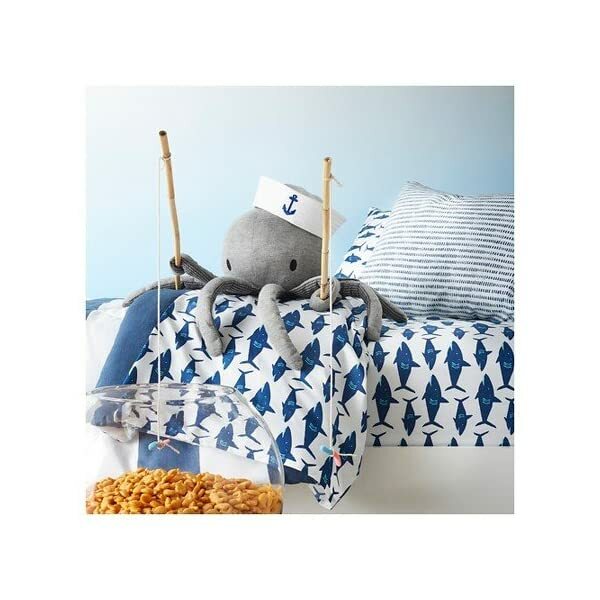 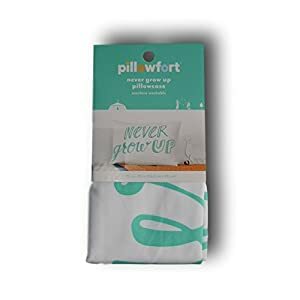 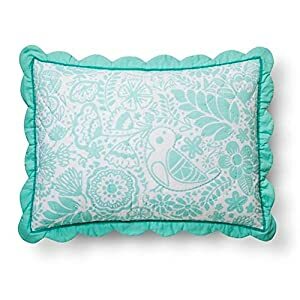 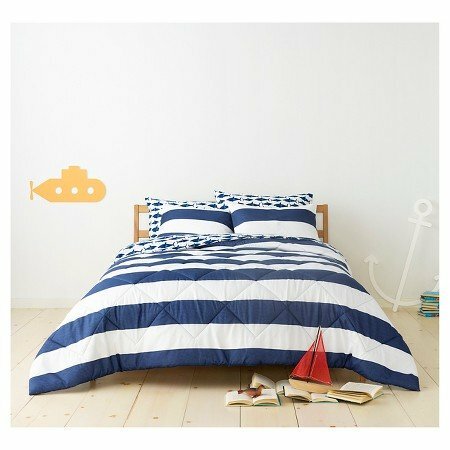 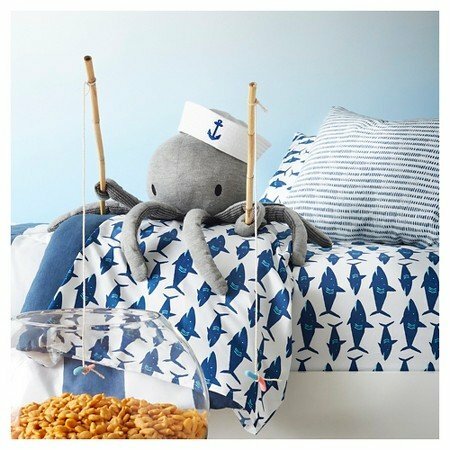 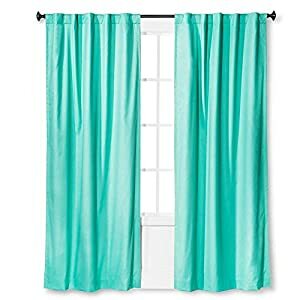 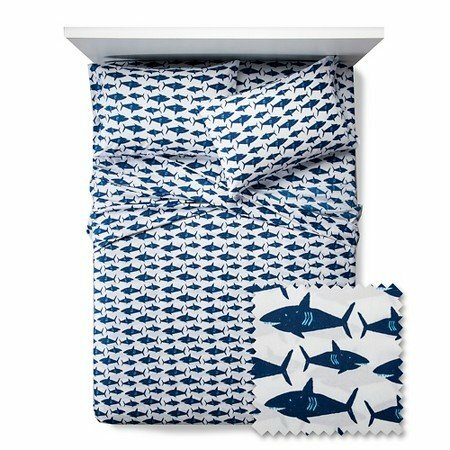 The Great White Get-Together Sheet Set from Pillowfort is perfect for any child’s bedroom that has a watery theme. 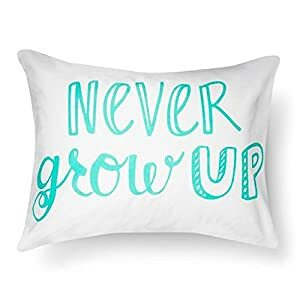 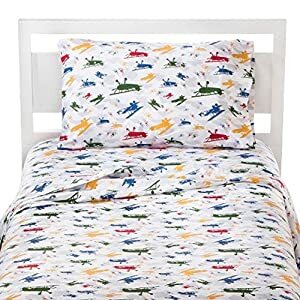 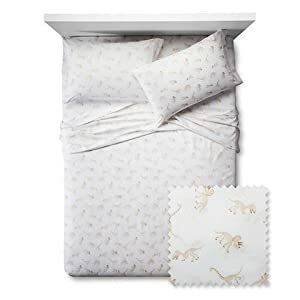 The kids’ sheet set has a gathering of sharks, whether you call it a school, a herd, or a shiver, and these sharks swarm on all the pieces of your sheet set. 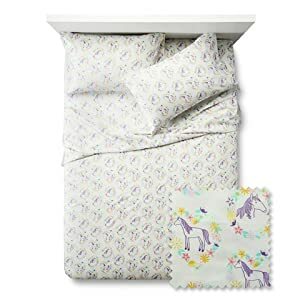 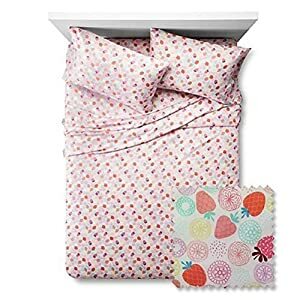 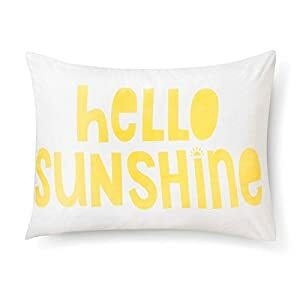 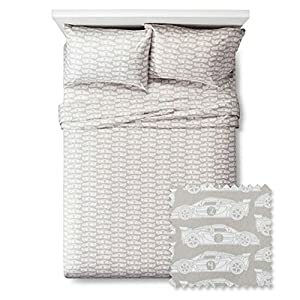 The repeating pattern covers the pillowcase, flat sheet and fitted sheet.